The Christian owners of Ashers Baking Company have lost their appeal to overturn a conviction which found them guilty of discrimination for refusing to make a cake bearing a slogan which promoted gay marriage. 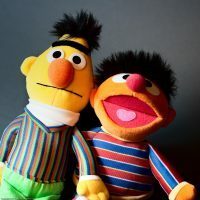 The Court of Appeal in Belfast upheld the previous judgement, filed last year, which found that the company had discriminated against local gay rights activist Gareth Lee by failing to provide a cake bearing a picture of Bert and Ernie with the slogan “support gay marriage”. The initial judgement ordered them to pay £500 in compensation to Mr. Lee. The owners, Daniel and Amy MacArthur, said that they were happy to serve Mr. Lee, but felt unable to make a cake endorsing a message they did not agree with. They, therefore, argued that they had not discriminated against Mr. Lee, but had merely declined to support his cause.